Travel with your friends and book the special rates offered by Anek-Superfast! A 20 % discount is offered for families or groups of 3-7 passengers, traveling on deck or airplane type seats! And it includes their vehicle! • 20% discount for minimum 3 passengers (max nr. 7 passengers) traveling in airseats or deck with or without a cat’1 vehicle (up to 6m long and 2m high). • All passengers must travel with the same reservation code. • Discount applies to passenger and vehicle fares. 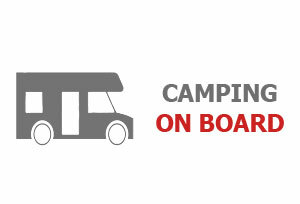 Discount does not apply to Camping on Board reservations.